WHERE: 2616 South MacDill Ave.
WHAT: A field day for culinary arts. Indulging in a fine brunch, lunch or dinner at Datz is just the beginning. You can also enjoy an array of top shelf liquors, wines and craft beers; buy high-quality cooking ingredients and imported cheeses; and enjoy a deep selection of desserts, gelatos, cakes, cookies and cupcakes. WHEN (To Go): Well, for starters, check the Datz Event Calendar. This “Gastropub” hosts events like Chef’s Kitchen interactive cooking demos and three-course Food and Drink Pairings. WHO (To Take with You): Your dine and whine friend. Everyone has one – that friend who turns up their nose at 90% of food that finds their plate and constantly complains about Tampa being so far behind the restaurant renaissance of bigger cities. Take them to dinner at Datz and you can be sure to enjoy a pout-free meal. And because Datz changes their dinner menu nightly, you can keep bringing them back for more. 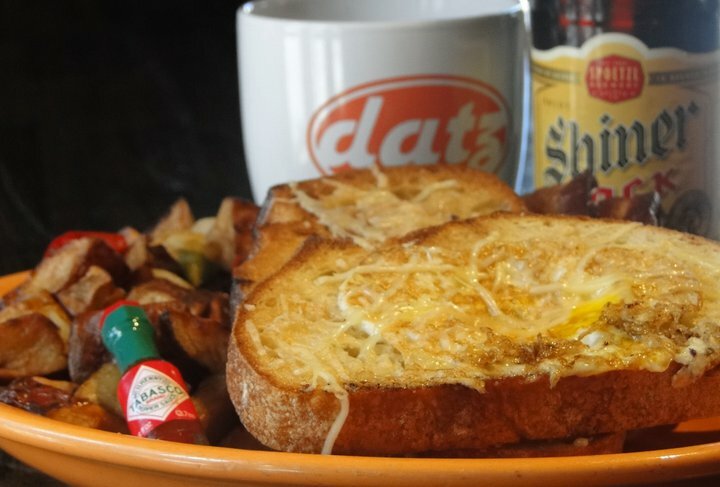 WHY: Because Datz has converted the comfort foods that you remember from your family’s kitchen into culinary achievements worthy of top-chef status. Datz serves modern (but still classic) versions of meatloaf, chicken and waffles, chicken pot pie and shrimp n’ grits so good even your grandmother would approve.